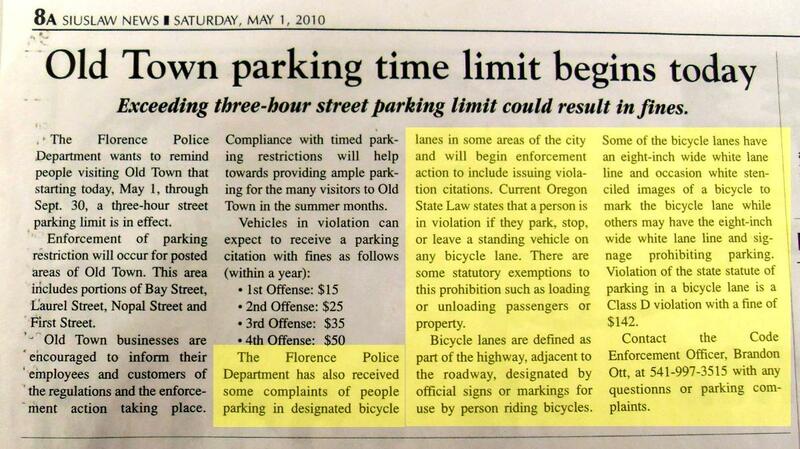 The City of Florence took up enforcement action against parking in bicycle lanes. The city is currently updating its Parks and Recreation Master Plan, Transportation System Plan (TSP), Community Transit Plan andCapital Improvement Program (CIP) to ensure that urbanization of the Urban Growth Boundary occurs in an integrated, connected manner that facilitates use of alternative modes, reduces reliance on the automobile, reduces use of state highways for local travel, provides certainty about planned transportation investments to encourage economic development and lowers future emissions. 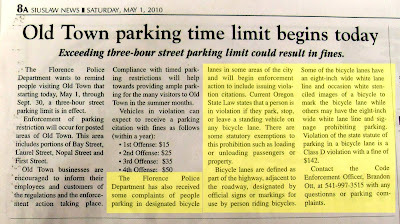 Bike Lane parking is a Class D violation with a fine of $142.00. 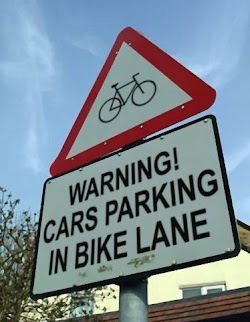 That's the only language some folks seem to understand. Not for the first time. Where is the promised Florence Police enforcement??? ?